1900 Sq Ft 3 BHK Flat for Sale at Thiruvalla Town, Pathanamthitta. Located at the heart of Thiruvalla Town. 400 Meter from Railway station. Very calm and quiet place. 1900 sq ft. 3 Large Bed Rooms, all attached with Bathrooms with balconies, Spacious Kitchen and Hall, Covered car parking. All facilities within 1 km radius – Pushpagiri Medical College, Thiruvalla Mission Hospital, Mar Thoma Residential School, S C School, Mar Thoma Church Headquarters, Evangelical Church Headquarters, Private Bus Stand, YMCA, Municipal Stadium, Shopping Malls, Believers Church Residential School, St. Mary’s Residential School, Christ Central School and Junior College, St. Thomas College, Believers Church Medical College, St. John’s Church, CSI Church etc. Apartment has own well which gives quality water throughout the year. It also has municipal water connection. 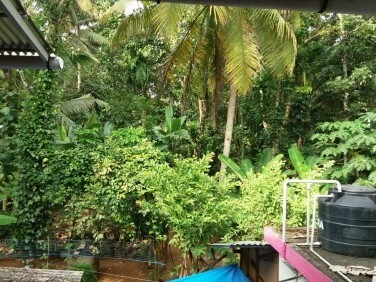 I am interested in your 3 BHK Flat for Sale at Thiruvalla, Pathanamthitta. I would like to know more details. Best 2BHK living in town. Brand new construction. Ready to move in.